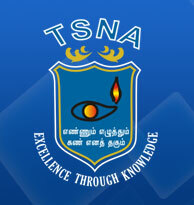 TSNA strongly believes that the atmosphere also plays an important role in disseminating education. This is seen by the air-conditioned, smart classrooms equipped with modern audio video aids like the LCD projector, computer, internet access, ActivInspire touch screen board, etc., tailoring to the learning needs. 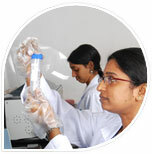 The NABL accredited laboratories at Sankara Nethralaya are furnished with the modern equipments to render the best practical, hands-on training to the students to make them the most competent professionals in their career. TSNA has an excellent, well-established air-conditioned library for the benefit of students, faculties and researchers. It comprises a large collection of books covering various branches of medical and health sciences, management and related fields to help the students supplement their coursework with additional information. Equipped with reading space, it includes a huge collection of reference books and journals. Availability of hi speed internet and computer lab with latest systems, to the students helps them to get connected to the world happenings and to acquire knowledge in their leisure time at a faster rate. Additional acquisition of information online ensures that the students stay ahead of their counterparts in the field. 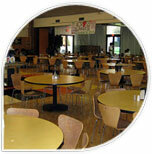 To naturally focus on social life, the institution provides dining halls. Besides this, there is a coffee shop inside the campus and clean mineral water is been provided to the students. Moreover the students can also avail hygienic food from the canteens in the campus. Transportation facilities are being rendered for the students to move between the different campuses of Sankara Nethralaya at fixed timings. 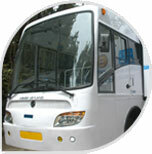 In addition to the above, transport is made available in the evenings to drop the students at the railway station. 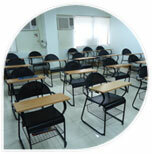 Spacious rooms with uninterrupted power supply and generator facility are available in the hostel. To aid the quest for knowledge, access to the internet is provided. Communication services and television for entertainment is also made available.